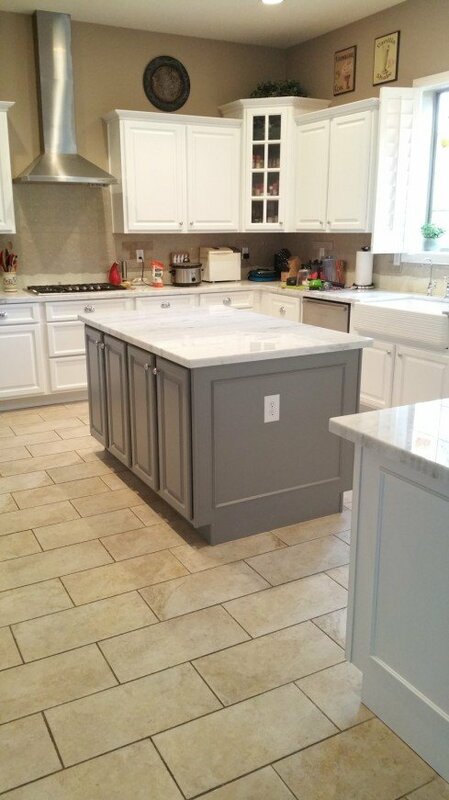 One of the most requested design elements of a kitchen reface or refinish is an accent color kitchen island. A kitchen island in an accenting color and/or style can bring that wow-factor and focus to the room. 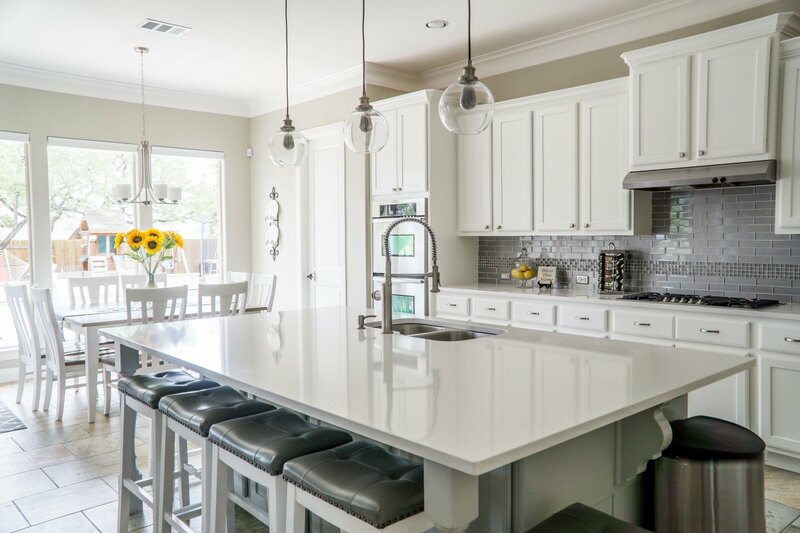 Kitchen islands are no longer just a plain functional box in the middle of your kitchen; they add an element of design and style to the overall look & feel of the room, providing an anchor to the kitchen as well as offering relief from the solid color wash of the rest of the kitchen. 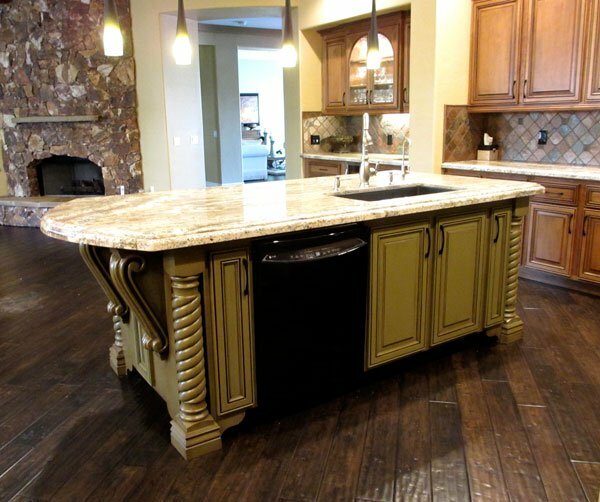 Below are a few examples of custom kitchen islands that Better Than New Kitchens have created for clients that accentuate the kitchen with a contrasting design element. This Scottsdale family’s house underwent a significant transformation. The above picture shows the original outdated raised bar, half wall island that was transformed into a beautiful custom kitchen island of a contrasting color (shown below). The island was brought down to one level, providing a large multi-functional area that can be used for large cooking projects, eating and entertaining. The entire kitchen was refaced by Better Than New Kitchens. 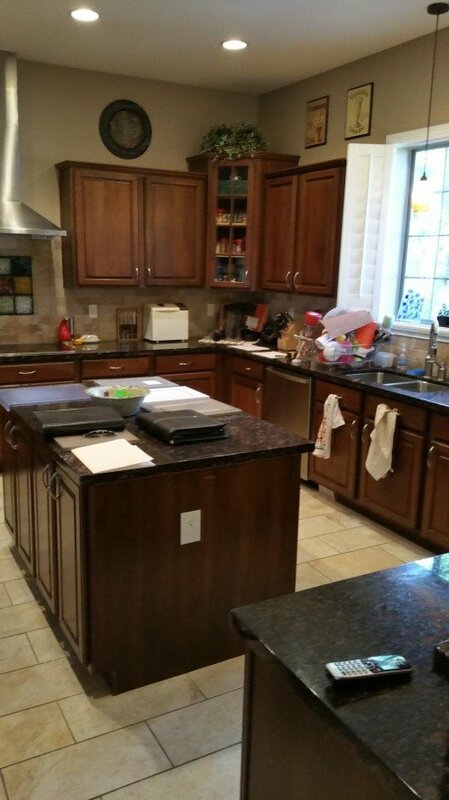 The cabinets along the walls were refaced with a lighter and warmer natural wood color. Gone are the dark cherry cabinets! New dark wood flooring, light granite countertops, a neutral tile backsplash and cabinet extension adds to the overall transformation of this beautiful kitchen. But the custom sage green island with detailed woodwork gives this kitchen it’s “wow factor” and focal point for the large open floor plan. Below is another significant transformation highlighting an island with an accent color. 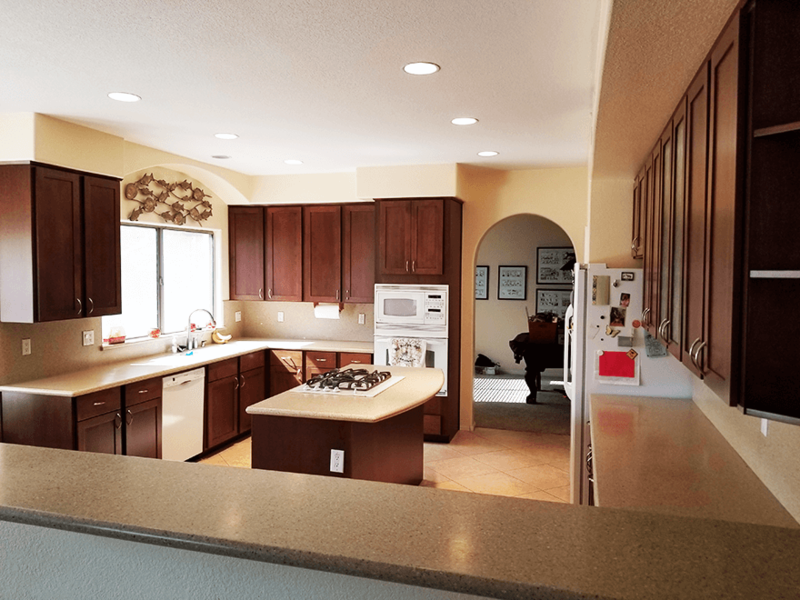 Better Than New Kitchens brightened up this Ahwatukee family’s kitchen by refinishing their existing dark cherry cabinets to solid white with the focus put on the central gray island. 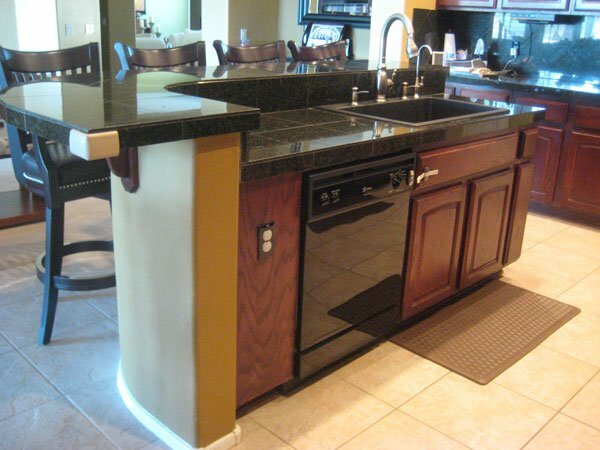 The black countertops were replaced with a white granite. Custom details were added to the side panel of the island and the end of the wall cabinets. This gives the kitchen a more detailed and polished look. Also, all the drawer and cabinet pulls were upgraded. Contact Better Than New Kitchens for more information!